Fun Holiday game for your class! 15 cards, markers and game pieces included. Pair students 2 per card if needed. ★ Once downloaded, print the game pages out, laminate, and cut-out. 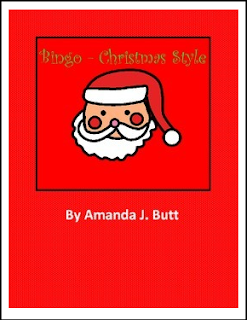 ★ Play the traditional Bingo method, or play suggested variations listed in the instructions.